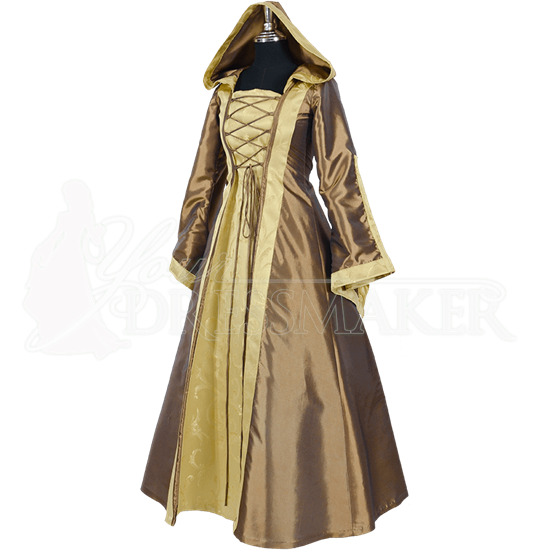 Astound your subjects in the Hooded Renaissance Sorceress Gown - Bronze and Gold. Handmade from high end taffeta and brocade, this reenactment dress takes its style cues from the realms of history and fantasy for phenomenal effect. Its bronze taffeta base is accented with panels of patterned gold brocade, lending this one piece dress an ornate and layered look. Bronze lacing over the gold bodice reinforces this effect, and adjustable back lacing helps achieve a flattering fit. The elegant bell sleeves are trimmed with the gold brocade and can be cinched up or let loose using incorporated cords. 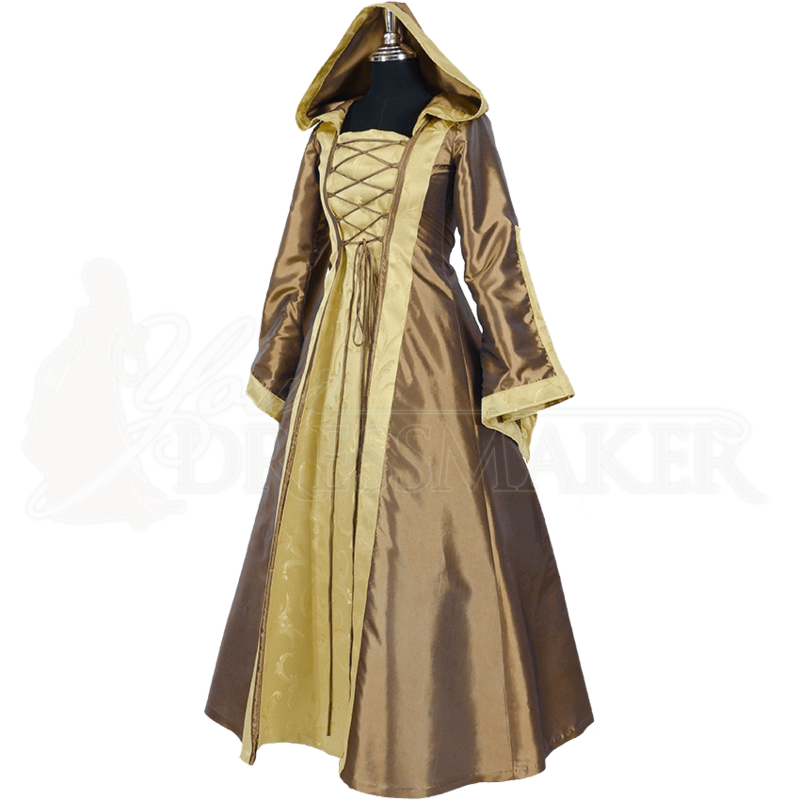 A full hood that ends in a point lends an air of mystery to this regal Renaissance gown, and smooth bronze taffeta lines the inside for comfort. Give the long skirt the full look shown here using our A-Line Petticoat (MCI-145), sold separately.